Double entendre totally intended with that headline. 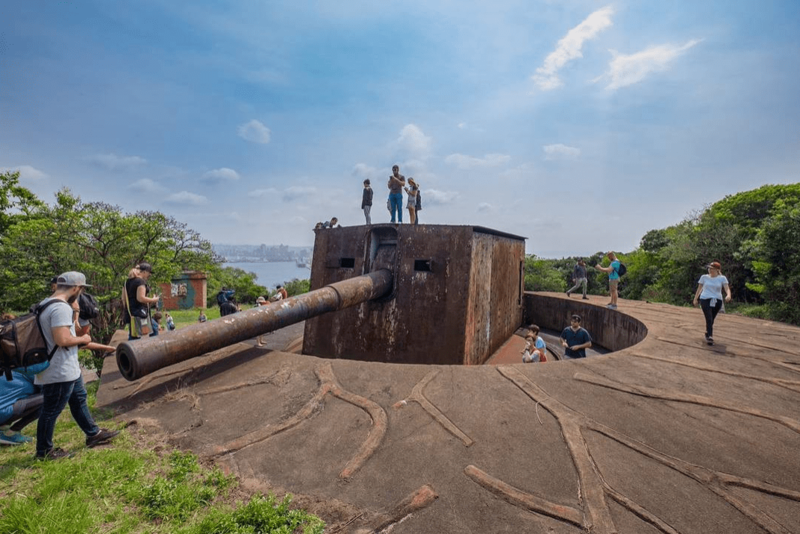 Not only did we have a whale of a time on a recent BESETdurban walk, but we got to explore and discover the gritty past of Durban’s abandoned whaling station, accessed from a restricted military base, located on the Bluff – accessible by very few Durban residents. 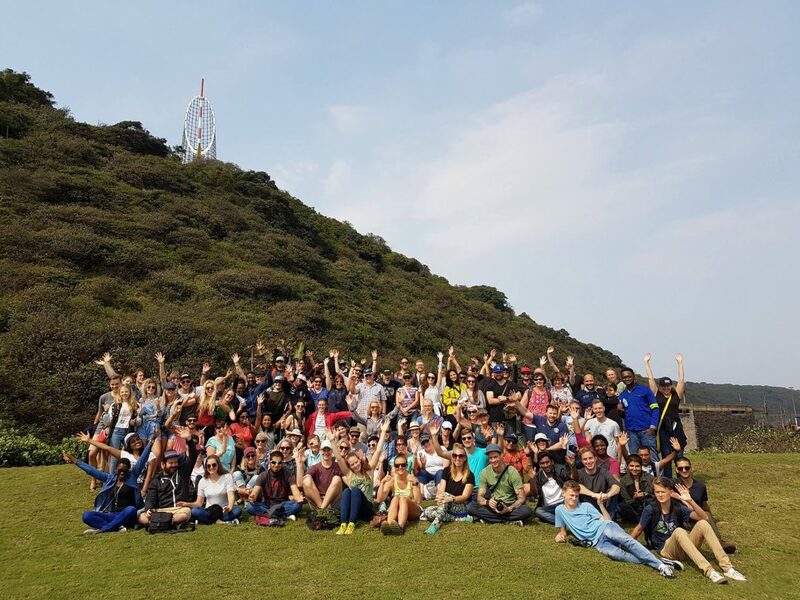 Only the crew at BESETdurban could have pulled off this feat and this particular walk was concocted over an entire year, as Jonas Barusse negotiated with the powers-that-be at our municipality, our military, the bulk terminal and hundreds of walkers eager to get in on the action. In the end, only 120 people were allowed to join the walk and our city kindly transported everyone on buses from The City Hall, so it was like an epic school excursion! Whaling was a booming industry in Durban right up until the mid-70’s, and while the BESET team were putting this walk together, they came into contact with Peter Froude, who worked at the Durban Whaling Station (operated by Union Whaling), for 17 years up until its closure in 1975. He joined us for the morning and gave such amazing insight into this period of Durban’s history, regaling us with stories of whale catcher boats, spotter planes and harpoons, all of which in this day amounts to a horror story, but it was fascinating to hear this kind of history first hand. Once whales were caught, they were filled with air and floated back to our harbour entrance, where the slipway, which is still in existence, was used to haul the whales onto train carriages which would then journey around the corner of the Bluff, to the whaling station, where it was processed and sent off to make numerous by-products – most of which I’m happy to report don’t exist anymore (they now use other animal fat – bleuch). The slipway sits alongside the Bulk Terminal which is headed up by Iain Geldart, who also joined us on the walk, granting access to the most amazing little building to us, which sits right on the harbour shoreline, boasting no doubt one of Durban’s most unique views through its window into the harbour mouth. Over the past few years, they’ve landscaped and cleaned up this side of the harbour, which was in a pretty shoddy condition beforehand and it’s now somewhat of a heritage site, with harpoons, anchors and pictures on display of a bygone era in Durban’s history. We also got to chat with Sydney Masha, a civil engineer from the Durban sewage treatment plant, which is located on the site of the former whaling station, as well as explore an abandoned military canon – yep this baby was strategically positioned to shoot the crap out of anyone wanting to invade our harbour and I must admit it was pretty rad to be able to see it up close, although I was petrified of encountering a green mamba snake, which apparently this stretch of the Bluff is riddled with! Thanks to the BESETdurban crew for an epic adventure and to everyone involved for pulling this off! If you want to be in the know about these walks, you need to sign up to their newsletter here. All pics are named with their source/photographer.